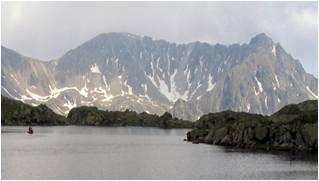 The Limnological Observatory of the Pyrenees (LOOP) is an observational facility located in the Central Pyrenees, in the vicinities of the Aigüestortes i Estanyde Sant Maurici National Park. It comprises a field station and several monitored catchments. The research sites are equiped with several automatic weatherstations, discharge gauge stations and lake and stream water temperature loggers. A network of sampling stations is visited to collect chemical and biologicalsamples at different time intervals, from biweekly to seasonal. The sampling network consists of eight streams, fourteen lakes and two atmosphericdeposition collectors for water chemistry, and four streams and one lake for biological sampling. 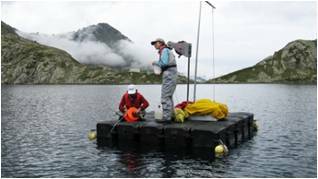 The most detailed limnological monitoring is carried out at Lake Redon, where the water column is sampled monthly at several depths for chemical andbiological determinations. A small cabin with lab, dormitory and kitchen was set at the shore of the lake to facilitate the field work and in situ experimentation. In addition to the site-based monitoring, we carry out synoptic surveys covering the whole Pyrenean range at decadal intervals.This monitoring is aimed tocompile long term data series on the biochemistry of surface waters as an indicator of the relevant ecological processes taking place in the Pyreneancatchments and their response to global change. We also run short term research projects which benefit from the framework of data, techniques and facilitiesprovided by the monitoring. Short term projects include palaeolimnological studies that expand our data series many years back. As a whole, all theseactivities configure our long term ecological research programme.